Your kitchen is the heart of your client’s home. They cook, eat, and share important conversations in the kitchen. Because it is such a central part of their lives, it makes sense to make it look as nice as possible. 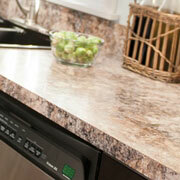 ProSource® of Orange County gives you the opportunity to remodel your client’s kitchen and give it a complete makeover. If you are wanting to create a truly luxurious kitchen and dining experience, ProSource has what you need to make that happen. At our Orange County showroom, you will be able to see countless displays and learn about the latest in remodeling trends. 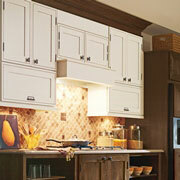 Your client’s kitchen cabinets are important because they introduce the designated “base color” to their kitchen. Because kitchen cabinets are so vital to the color palette of the kitchen, you want to find cabinets that are durable and color-matched with your client’s kitchen countertops. ProSource allows you the opportunity to get all your items in one place, to make sure they are perfectly matched. 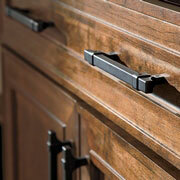 Cabinet hardware; refers to the knobs and handles attached to your client’s kitchen cabinets. For these types of features, the best way to determine what you want is by visually seeing a display. At our Orange County showroom, we offer our customers the opportunity to see these pieces of hardware attached to cabinets, in order to decide which one they would rather purchase. Color-matching your countertops to your cabinets is one of the most important things to do when remodeling your client's kitchen. ProSource of Orange County enables you to purchase all your items in one place, ensuring that they all match with each other. And, best of all, our items are all at bargain prices. 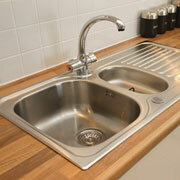 If you are struggling with a shallow, dysfunctional sink, the time has come to get a new one. At your local ProSource showroom, you can browse through a large selection of kitchen sinks ranging in color, size, and style. If you are interested, stop by a ProSource showroom today. A faucet is one of the accenting features of any kitchen. 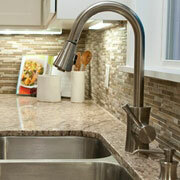 If you are planning to get a new sink, you will also need to purchase a new faucet. Our selections are wide-ranging and will be able to present you with a faucet that will coordinate well with your client’s new kitchen aesthetic.